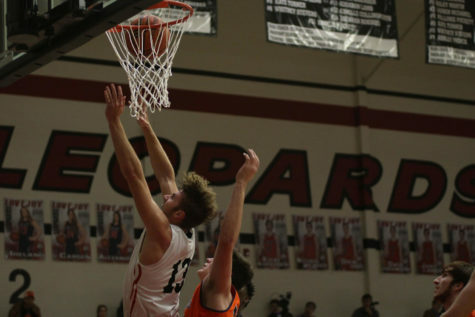 Sophomore Kolby McSpadden elevates through traffic to shoot a layup. 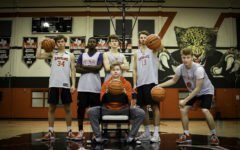 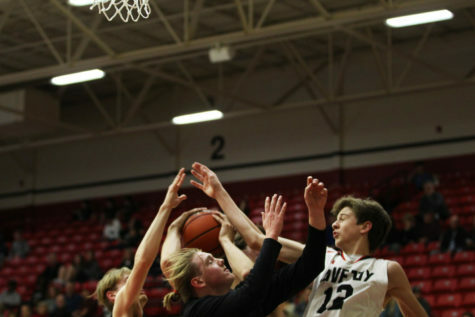 The boys basketball team (8-15, 3-5 in district) will face Wylie East (2-18, 1-7) tonight at 7 p.m. as it looks to keep its two-game winning streak alive. 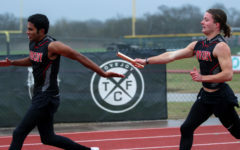 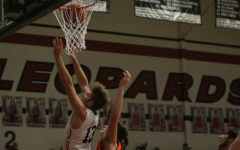 In their previous match up versus Wylie East, the Leopards had a dominant game, winning 63-49. 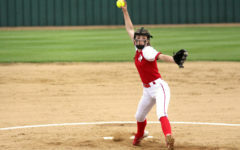 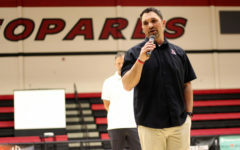 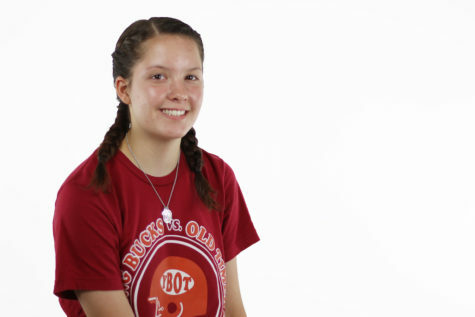 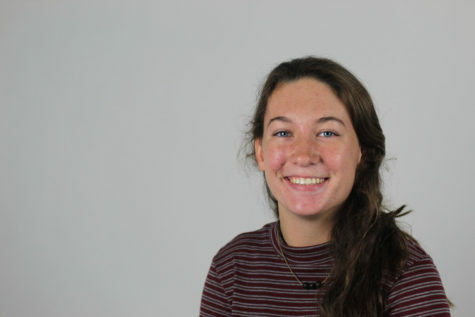 However, considering the depth of the district this year, Herrema said it is important that the team doesn’t go into Friday being too confident. 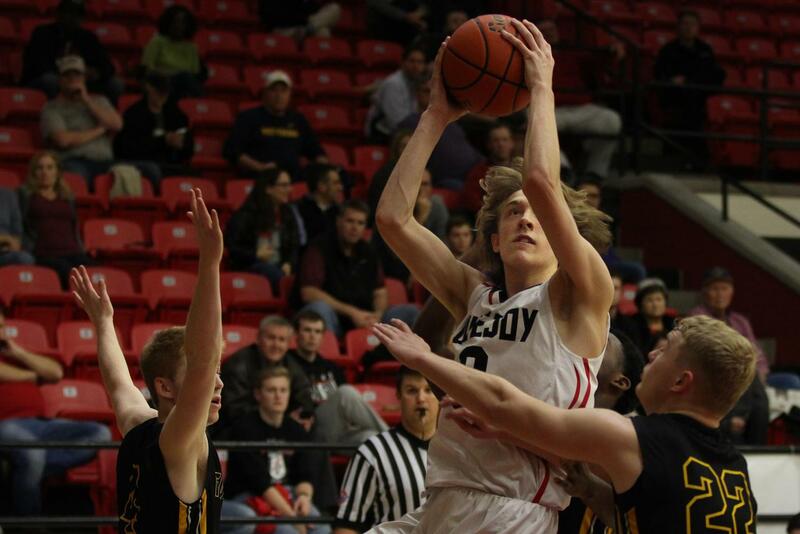 Junior Luke Ledebur emphasized the importance of this game for the team, as playoffs are fast approaching. 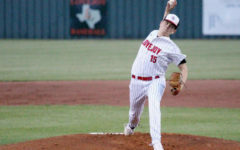 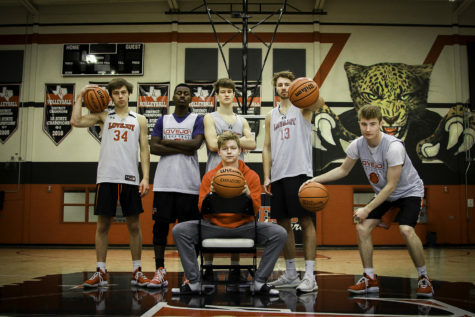 The team recently ended the first round of district on a high note, coming out on top over West Mesquite (8-14, 4-4) by a score of 40-30. 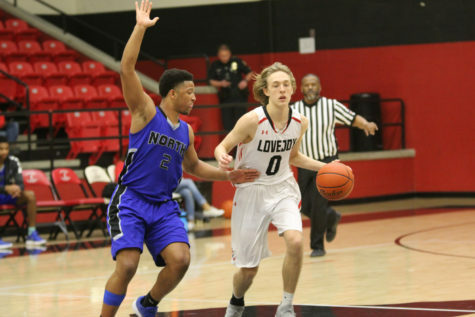 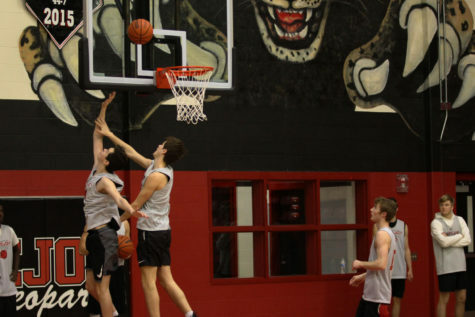 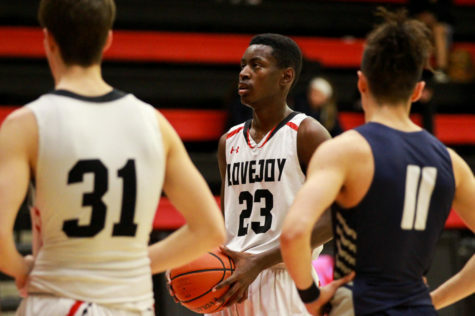 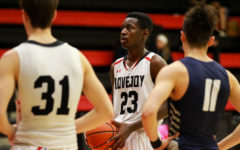 The Leopards continued the strong play Tuesday night in a 41-35 win against Forney (19-7, 5-3), outscoring the Jackrabbits by 20 points in the paint. 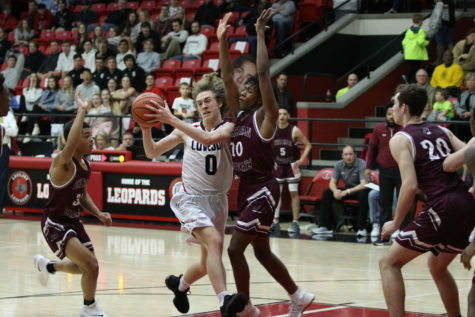 With a one-point lead going into the fourth quarter, the Leopards pulled through with defense and clutch free throws in crunch time. 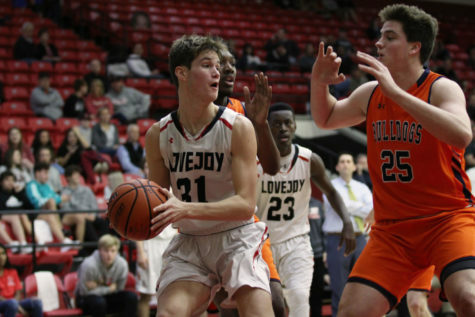 Ledebur also broke the school record for the amount of charges taken in one season, tallying up his 31st charge Tuesday night with six more regular season games still left to go. 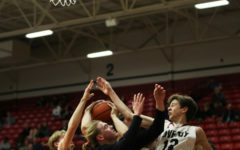 Ledebur’s ability to put his body on the line has had a large impact on the team’s defensive energy and the game as a whole.